HomeDungeons and DragonsWhich D&D 5e Book Should You Buy? The Dungeons and Dragons 5e core books, the Player’s Handbook, the Monster Manual, and the Dungeon Masters Guide have been out for almost 4 years now. Since the release of 5e, Wizards of the Coast has released 16 total books with 2 more on the way this year. That’s a lot of books. They all cost about $30-$60 each. That’s expensive for a new player or DM! So, what D&D 5e book should I buy? Are there any “must-have” book(s) in order to play? I’m going to tackle this problem by suggesting that there is a certain order in which I believe these books are best to be purchased in. In this post, I have separated the books into 5 Tiers. Start with Tier 1 and purchase the books that interest you. From there move down to the next section the next time you want to buy a new book. I’ve personally used this system to recommend books to my friends and it has worked out well for veteran players, new players, dungeon masters, and everyone in-between! There is only a single D&D 5e book in the “Must Have” tier. This book will provide all the information needed to DM or play in a D&D 5e campaign. 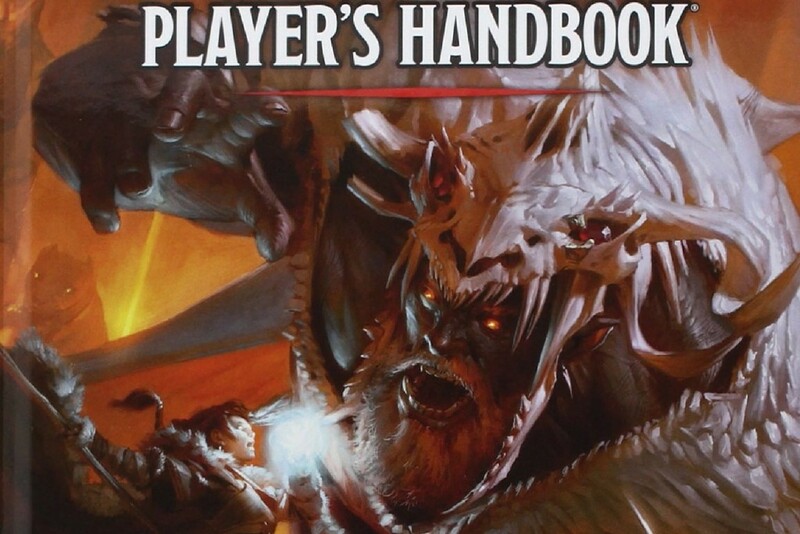 The 5e Player’s Handbook is hands-down the tier 1 book of D&D 5e. Art by WotC. The Player’s Handbook contains all of the basic rules, character options, equipment, and spells in the game. As a player or a full-time DM this is an absolute staple. Obviously for players having access to the rules, classes, feats, equipment, spells, races, and backgrounds makes this book an obvious choice. A DM could absolutely run a game using only the Player’s Handbook and some monster stat blocks they found on the internet. This book is a reference for everyone at the table. Trust me, regardless of your role at the table you will look through this book at least a couple of times a session. Buy this book before you purchase any other book in the collection. The “Cornerstones” tier includes two books. I do not deem both of these books necessary for both DMs and Players to own. However, they are the books I frequently use as both a DM and a player. As a DM the Monster Manual is basically your best friend. This holds a few hundred monsters for you to throw at your unsuspecting adventurers. I constantly have this book open and bookmarked whenever I am running a session. The variety of monsters is particularly good. I have been able to regularly surprise my five players with monsters they have never encountered in over 3 years of playing D&D 5e. As a player, this book is a pass. If you have no intentions of ever DMing I would not recommend picking this book up. That being said you should give DMing a try anyway, you may like it more than you’d think! The new Fighter archetypes in XGtE. Art by WotC. Xanathar’s Guide to Everything is by far my favorite D&D 5e book. Each class got new character archetypes. Tons of new spells and feats were added. It also added so many awesome tables and tools for DMs. There are tables that explain how to distribute magical items to players, all the official Druid wild shape forms, and more. Seriously, XGtE is practically a second Player’s Handbook with how much content it holds. It is absolutely worth the money as a player and has a ton of great tools for DMs. Both camps would benefit by adding XGtE to their collection. The “Expansions” books are great books. They expand the content of the game and fill in some areas the books of the first 2 tiers only touch upon. They require at least the Player’s Handbook and/or the Monster manual in order to use them to their fullest potential. I had originally placed Volo’s Guide to Monsters in Tier 2. However, after some thought, I decided against that. It has a lot of content such as new character races, monster lore, and plenty of new monsters for DMs to use. A lot of these new creatures include new versions of creatures in the MM such as the Flind which is a high CR gnoll. I have used many of the creatures in my games. There are a lot of more unique takes on creatures in VGtM and they can make for a fun twist on a creature your players are accustomed to. The player races are very unique and fun, but that’s all that is in there for players, unfortunately. That being said, there are quite a few unique races and it adds quite a few monstrous races such as goblins and kenku. VGtM is an excellent D&D 5e book for DMs, but one I would put lower on my list if I were a full-time player. I’m pleasantly surprised at how much I enjoyed all the lore. Art by WotC. 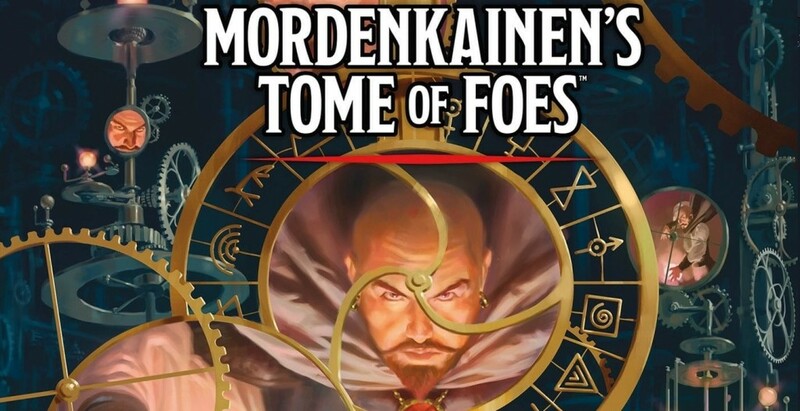 The structure of Mordenkainen’s Tome of Foes is pretty similar to VGtM. It contains a lot of interesting lore focused around the blood war as well as many of the races in the PHB. There is also plenty of lore for the creatures that partook in the blood war such as iconic demons and devils. There are chapters full of lore for tieflings, gith, dwarves, gnomes, and halflings as well. For players, the book includes a brand-new race, the gith, as well as subraces for elves and tiefling. In addition to these races and subraces duergar and deep gnomes have also been reprinted for those of you that have not purchased the Sword Coast Adventurer’s Guide. Like VGtM this book is excellent for DMs as it contains over 100 statblocks for brand new creatures with a focus on higher CR creatures. There is a heavy focus on creatures from the relevant lore such as devils, demons, drow, and the rest of the races that I mentioned previously. Some of these creatures include epic creatures from the adventures that have been tweaked and fixed to be more in-line with their intended CR. This book, in particular, is valuable for DMs especially ones that need some higher CR creatures in their campaigns. However, like VGtM I’d probably skip out on it if you’re a full-time player. It may surprise you that one of the 3 core rulebooks is so far down my list. Let me explain. The Dungeon Master’s Guide has a ton of content such as variant rules, magical items, and great tips on how to DM. It is not necessary for a player or DM (especially new ones). A lot of the tips and advice given in the book could potentially be found online. The variant rules are great references but you typically won’t use them all, and there are some very niche or overly specific rules. As you get more comfortable with the game you and your players will probably end up house ruling a lot of the variant rules. The magical items and treasure are the main draw for me. Especially as a new player or DM you will want to look through the DMG for balance purposes. As a new DM you should stick close to the magic items and treasures in the DMG (and XGtE) for what you reward your players with. This will also serve as a good point of reference for when you create your own items. The DMG also has a ton of great advice and random tables for DMs. Topics like how to create a setting, how to balance an encounter, or how more advanced mechanics work are all covered in the DMG in great detail. This is all great stuff for a DM, especially a new one, but I don’t find it necessary to have in order to run a game as a DM or even play the game as a player. I’m not a fan of MtG, but this book is excellent. Art by WotC. This is a pretty groundbreaking book as it is the first official WotC product to tie Magic: The Gathering into D&D 5e. Ravnica is an enormous city that has a group of 10 guilds that conduct business and make up the government of Ravnica. Clashes between the guilds are well-known and there some contempt for the guilds by the citizens that choose not to align with the guilds. As someone who is not a fan of Magic: The Gathering, I’m amazed at how much I love the book. There’s a lot of great lore and setting notes for someone who wants to run a game in Ravnica. However, what’s under all that are ground rules for running an urban setting campaign and creating factions. I don’t expect to ever actually run a game in Ravnica, but I’m absolutely using the tools that GGtR has brought to the table. Not only that, but the book has a ton of unexpected extras for DMs, for instance, it has over 70 pages of statblocks for new creatures. Most of these are related to the guilds, but they’re perfectly usable as standalone creatures. I honestly wasn’t expecting much in terms of creatures so this was a spectacular surprise. Players won’t get a ton out of this book unless they’re Magic: The Gathering fans. That being said, it does come with two subclasses, Order Domain Cleric and Circle of Spores Druid. It also comes with 5 new races: Loxodon, Simic Hybrid, Vedalkin, Centaur, and Minotaur. It also includes a reprint of the goblin race from Volo’s. The centaur and minotaur races and the Order Domain and Circle of Spores subclasses are more refined from their latest Unearthed Arcana as well. As someone who had some issues with the minotaurs in the last UA, I’m much more satisfied with this version and intend to give them a try. If you’re an MtG fan you should pick up GGtR. If you’re a DM I’d scoop it up on sale without hesitation or if an urban setting sounds like a fun campaign idea. Players can probably pass on this if they have no interest in MtG Either way, you’re going to be treated by some of the best artwork in a 5e book yet. The “Fun Extras” books will add some additional fun to a game. They are not referenced often and have a niche use. Yawning Portal has been a hit at my table. Art by WotC. This is a very fun book for DMs to own. It is what I call a “throwback” book. It contains some of the most iconic D&D adventures from all the different editions but remade for D&D 5e. I recently ran the White Plume Mountain adventure as a one-shot and everyone had a great time. That is both the strength and weakness of this book. The book is a book of one-shots. There is no continuous storyline like with the adventure books. However, you can easily drop one of these adventures or dungeons into a campaign and it will fit right in with minimal tweaking. This is a fun book to have as a DM, or if you are looking for a nostalgia trip for adventures of past editions! The Sword Coast Adventurer’s Guide really suffered from the release of XGtE. This was the first supplementary book that added new character archetypes to 5e. The downside is that there are so few of them to choose from and not every class even has a new archetype. Not to mention that a few of the archetypes and the spells were also reprinted in XGtE! MToF also includes reprints of the duergar and deep gnome subraces which again makes SCAG a less worthwhile purchase. There is some good lore and setting information on the Sword Coast, but if you aren’t running a game that involves that at all this won’t be a useful book for you. I’d advise you to look up the table of contents of the book and make a judgment call for yourself. There are a few issues I have with this setting book that is making me put it in Tier 4 in its current iteration. First of all, it’s PDF only which is a deal-breaker for many. Second, Wayfinder’s Guide to Eberron is currently playtesting material. This means that it is unfinished and will be updated as the book is revised or new content is added to it. Despite all this Eberron is a very interesting setting as it’s pretty different from the typical high fantasy setting that D&D uses. It is considerably more high-tech as it has robots (warforged), skyships, and trains that are all magically powered. Morality and alignment is also a very muddled concept in Eberron. 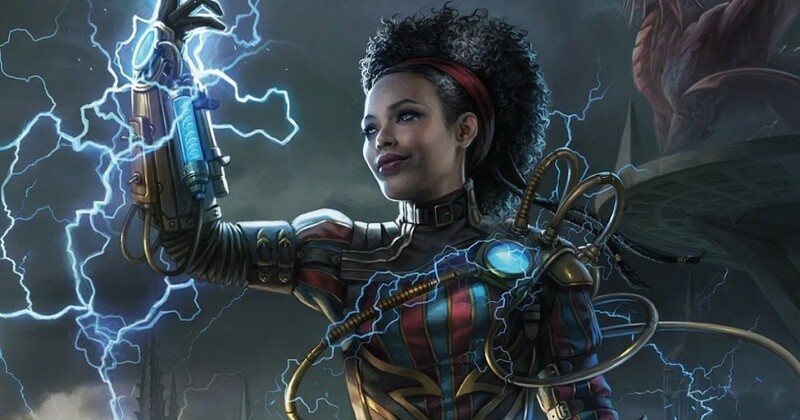 Check out this article for more of a run-down on Eberron. That being said if Eberron is a setting that your group enjoys this setting book is a must-buy at some point. If you do not mind purchasing unfinished playtest material then this book is probably closer to Tier 3 in the list due to the amount of content it will eventually add to the game. I’m interested to see what the finished product will look like as it has a ton of potential. Ship rules, old school adventures, and more! Credit: WotC. This is set to be a seafaring adventure collection for characters level 1-12. 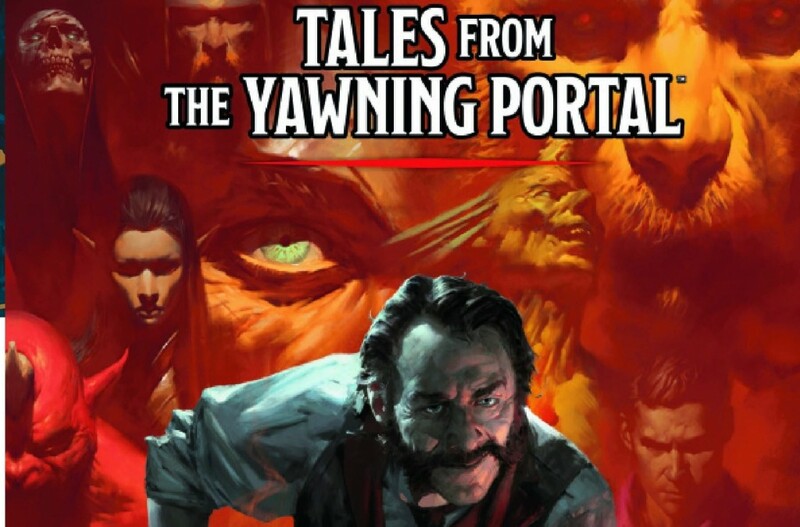 However, it is going to be organized like Tales from the Yawning Portal which means you can easily fit the individual adventures into ongoing campaigns or pick and choose adventures to run as one-shots. Ghosts of Saltmarsh will also contain rules and mechanics for naval combat and exploration. Unlike the Yawning Portal, the town of Saltmarsh will be a more refined and fleshed-out central hub for the players throughout the adventures of this book. I also assume that it will be easy enough to slot into an ongoing adventure, just like the adventures in this book. While I am not going to give Ghosts of Saltmarsh an official ranking until I get a chance to read through it and review it, I’d imagine that it will be in Tier 4 alongside Tales from the Yawning Portal (which I’m a huge fan of). This is a unique tier. Depending on your group, you may value these more than the books in Tier 3 or 4. Other groups may not have any use for these books at all. The adventures are solid books of varying quality. They provide a customizable story with unique items, creatures, mechanics, maps, and NPCs for you and your friends to enjoy. Out of the Abyss has been my table’s favorite adventure module so far. Art by WotC. I own a few of the adventures and have used bits and pieces of some throughout my campaigns. My friends and I also played Out of the Abyss and that was so well-received that I’ve used some crowd favorite characters, setting info, and creatures in our other games. If you are looking for a gritty, survival adventure this is an excellent pick-up. I regularly consult this book whenever I incorporate the Underdark in my games. 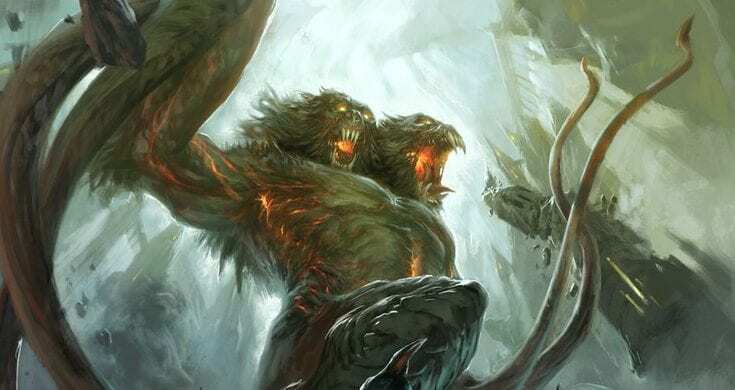 It is an excellent setting guide full of creatures, setting descriptions, and anything else you could need to know about the Underdark in D&D 5e. I have not played or ran Curse of Strahd. However, I have heard great feedback about it from friends and on the internet. Out of all the adventure modules, this seems to be the go-to for many groups to run. If your group is into vampires and gothic horror this is one of the best adventures to run. The introductory adventure for CoS is available for free online should you wish to “try before you buy”. 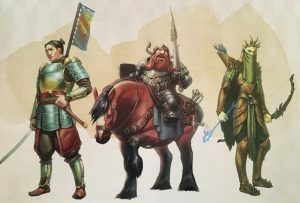 The adventure is well-regarded in that it is a complete and interesting module, but there are plenty of places for DMs to add their own flavor and homebrew to it. It’s a widely-popular take on the classic D&D setting of Barovia in Ravenloft. Hoard of the Dragon Queen and The Rise of Tiamat were two of the earliest D&D 5e adventures published. Unfortunately, they have suffered a bit due to being early prints. Another strike against them is that the adventure requires the purchase of these two books to be completed. There are a lot of mechanical and story issues with the books. Here’s a Reddit thread where people discuss more specific issues with HotDQ. On a positive note, there are at least supplements for HotDQ and RoT that save the DM having to purchase the MM or DMG. Storm King’s Thunder is about giants wreaking havoc on the Sword Coast. I have good things about this adventure. There is a lot of room for the DM to modify the adventure and story. There is interesting lore and plenty of rich role-playing hooks as well. The one criticism I have heard about this is that the maps in the Roll20 Version have an issue with scaling. A gritty story filled with necromancy and dinosaurs! Art by WotC. Tomb of Annihilation is an adventure dealing with death and a mysterious disease. Necromancy is a major theme in this adventure. It is another gritty story, but I have heard tons of praise for its writing. While I can’t personally recommend this adventure, check out this show. Adam Koebel runs the module and it is a well-done play-through. Princes of the Apocalypse was released early in 5e’s life cycle. Fortunately, it does not suffer the same fate as HotDQ and RoT though it can be a little rough around the edges. You may need to spend a little extra time outside of the sessions prepping compared to some of the later adventure modules. The online supplement warrants some bonus points for PotA as it has all of the monsters and magic items used in the game. The DM could buy just PotA and use the supplement without needing to purchase the MM or DMG. If thwarting evil cults focused around elementals sounds cool, this may be the adventure for you! Waterdeep: Dragon Heist is an urban adventure book with a heavy focus on role-playing in the city of Waterdeep. They’ll forge alliances with the different factions in the city and navigate their way through social interactions, bar fights, and the chaos of a city that’s devolving into crime. At the beginning of the campaign the group must choose what season it is in Waterdeep. This will determine which of the 4 villains the party must stop from stealing the treasure. Unlike other adventure books, the party’s goal is simply to stop the villain’s plans and not to kill them. They’ll have to make good use of their relationships with NPCs, supplies they’ve acquired, and their wit and cunning. The party also gets a home base to use as they please giving them even more resources to use to thwart their villain. The best part about W:DH is its replayability. The same group could run through this adventure 4 times and have a completely different story each time. The book is highly regarded as a unique and well-written adventure for groups that enjoy role-playing and planning ahead rather than rushing into a dungeon delve. One glaring issue with W:DH is that it requires considerably more prep time from the DM compared to other adventure modules to make the adventure work. There are so many options and a lot of paths that the players take are not neatly connected to the rest of the adventure. I probably could’ve just written “Mindflayer Pirate” for Dungeon of the Mad Mage, but I wrote a few paragraphs just in case. Credit to Roll20. Thanks to the people at Roll20 I was able to get my hands on an early copy of their version of DMM and was able to take a look at it and play around with it. Needless to say, I was surprised at how much I like this module. It’s structured as a classic dungeon delve which is by far one of my favorite types of D&D adventures. The module is made for characters at 5th level and the completed module will cap them out at 20th level if the entire module is played through. There are 23 total levels of the dungeon and each one is suited for a specific level. This setup is excellent because it allows DMs to take a whole level of the dungeon out and place it in one of their games without much of an issue. 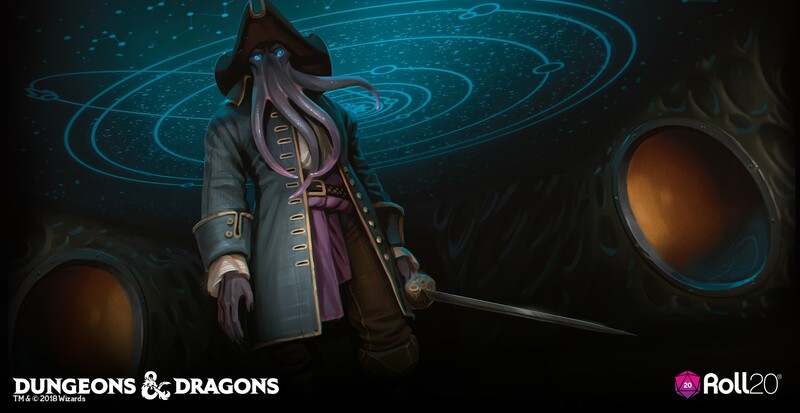 While Waterdeep: Dragon Heist is regarded as the prologue of Dungeon of the Mad Mage you don’t have to run it to have DMM make sense to you and your players. It’s its own story so you can either start off fresh with 5th level characters or weave it into a different adventure that levels your party to 5th level. If dungeon delves, fighting powerful creatures, the arcane, and defeating a powerful wizard sound interesting this is the adventure module for you! The starter set is an excellent pickup for a group of first-time players. It includes a small book full of rules and character creation choices for levels 1-5, dice, and an adventure. The Lost Mines of Phandelvr is the adventure, and it is a very well-written, fun, adventure. I have heard nothing but praise for this edition’s starter set and even popular shows such as The Adventure Zone have used this adventure as a starting point for their campaigns. Do remember that this is an opinion piece. Feel free to buy whatever books you like. I will always say to grab the PHB before you look at anything else. I will also be updating this list as new books are added to the D&D 5e book list so feel free to check back later or voice your opinions on my picks! If this post was helpful to you, be sure to check out the rest of my reviews here! pretty good list i can agree with most of it. the PHB is definitely the most important thing ofc. as a full time player i was on the fence on a couple of the books that is currently in my inventory like sword coast tome of foes and volo’s guide, tho i will probably get XGTE soon but will wait till the rest of the base stuff is on sale maybe. Xanathar’s is a blast for sure! Amazon has sales for the books pretty frequently so be sure to keep that on your radar.